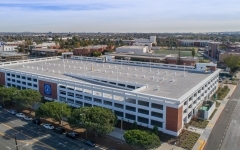 The new Lot C Parking Structure at El Camino College is the second structure IPD has designed for the District. 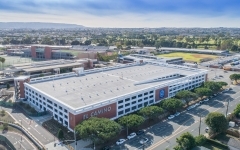 The four-level structure adds 1,443 parking spots to the campus and replaces the former Technical Arts Building which was demolished to make way for the new garage. 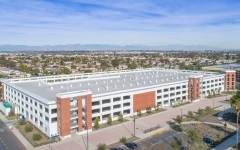 To the east is a new Student Services Center which is easily accessible to students who park in Lot C. The parking structure features full brick veneer, illuminated sign graphics at the exterior, parking occupancy monitoring system, security cameras, parking ticket machines, and an emergency phone system. 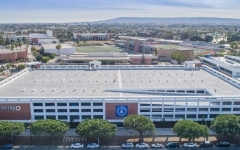 The structure is also designed for a future photovoltaic system.